The best way to achieve perfect milk temperature and make luxurious foam. Our best-selling products in one suitcase. 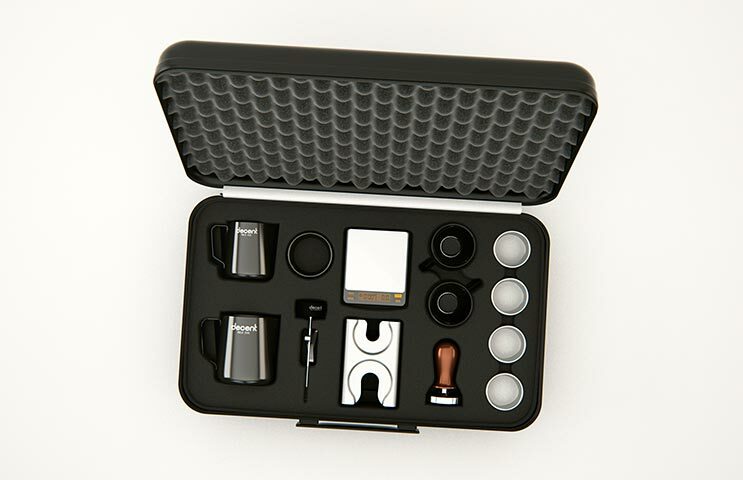 Designed by coffee guru Scott Rao and 23 top baristas. Everything for amazing espresso. "I've been training baristas for 5 years and hadn't found a good thermometer." 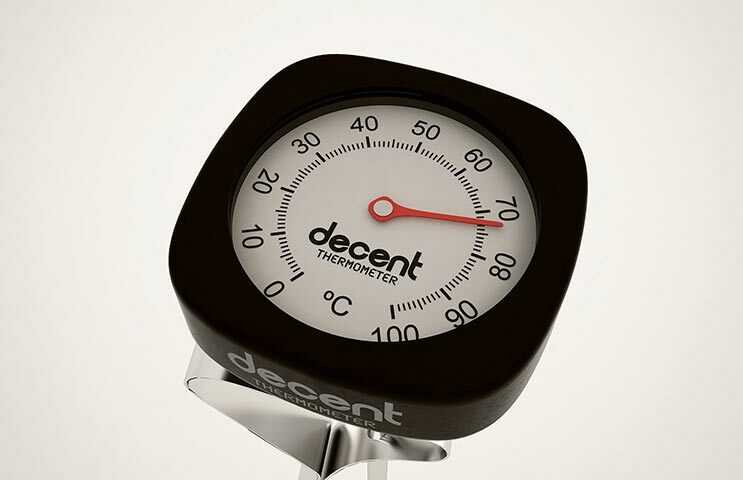 "The Decent Thermometer is the only thermometer a barista trainer or barista will ever need. Incredible." This milk thermometer was designed to help you steam milk to the perfect temperature, as well as to help you achieve glossy, creamy microfoam. Beeps when you reach or exceed your milk goal temperature. Stops beeping when you pour the milk out, so you can you make one drink after another. 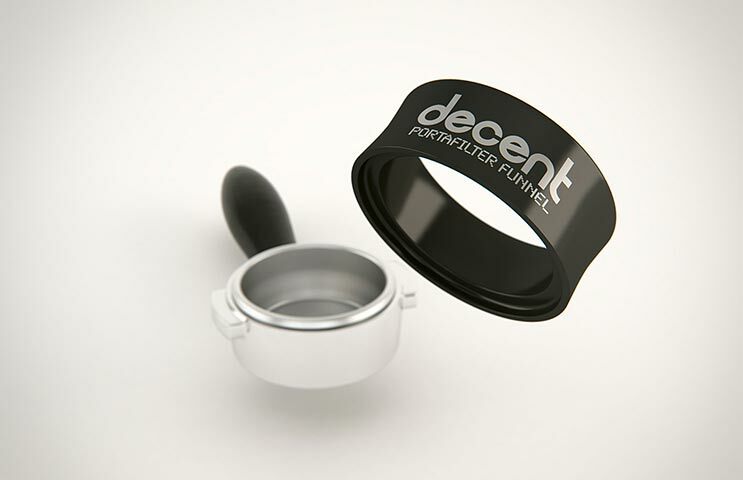 Experts know to stop foaming at 40°C/104°F and then plunge the steam wand until the final milk temperature is reached. Achieve this now with ease. Single-button-press presets for less-warm (60°C/140°F), normal (65°C/150°F), and extra-hot (70°C/160°F). Or set the exact temperature in 1° increments. 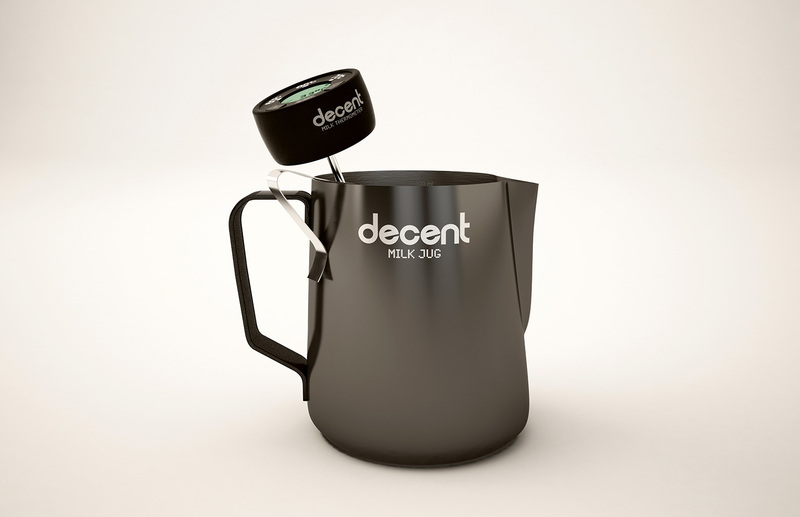 The clip shape holds the display aside the milk jug, thermoprobe centered. The temperature face doesn't obstruct your view of the frothing surface. The beep sound is loud enough to be audible over the steam wand noise (it's high pitched) but not so loud as to be annoying (we've muffled it slightly). Two versions available: Celsius and Fahrenheit. Water, steam and shock resistant silicone sleeve. Uses two included LR44 batteries for 200 hours of continuous use.